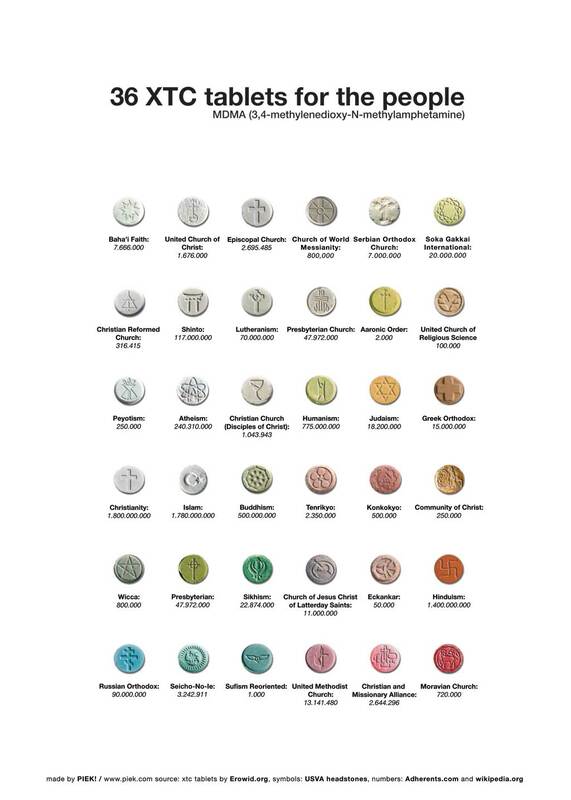 Thirty-six xtc tablets, stamped with emblems of belief. The caption of each tablet is the belief and the number of believers. 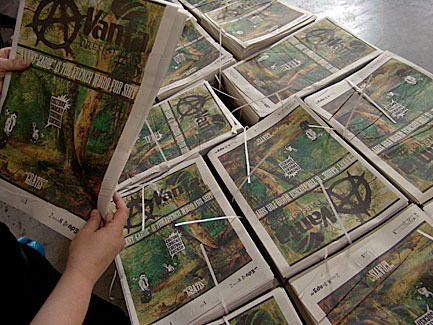 The poster is a contribution for the Avant-aPRèS(S)#3 newspaper. Printed and distributed by NP3 @ KunstVlaai. 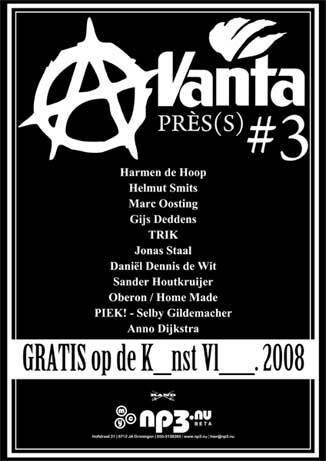 If you want a copy of Avant-aPRèS(S)#3, email NP3. Giclée (digitally) printed on a high quality professional Epson printer, with pigment-based, Epson UltraChrome K3 inks, that will last up to 100 years. Printed on Epson Ultra Smooth (hot press) 250 g/m2 archival fine art paper.